Follow the steps below to reset the Epson Artisan 810 printer, if you have any questions, type a comment. When we restore the pads printing Epson, it is because these have been printed in a number of pages considered for the manufacturer to asking us or we throw the printer or pay for restoration and replacement of parts that have roughly the same price to buy a new printer. Maybe our printer has reached the end of pads, but really still can continue printing for a long time, which is why we do not need to change pads and less carry where a technical service that will be necessary to make a large payment. We can make reset the printer from our house, we only need to follow the steps as is described below so that everything goes well, emphasizing the process and run the program that will download below. This software is recommended that you download it to where it is easy to get - it is recommended that the desktop computer - and they will be executed soon, but not before having read and execute correctly the file to no cause damage to printer. To download the file to restore the pads, you need an email working correctly, the printer showing the error on the screen of the computer and know what the serial of your printer, which is easy if you read our publication on how correctly do what. Running the software after confirming that it is appropriate for the printer, it is recommended in — maintenance — just select the option that says waste ink pad counter and no more, because this is for the restoration of pads. 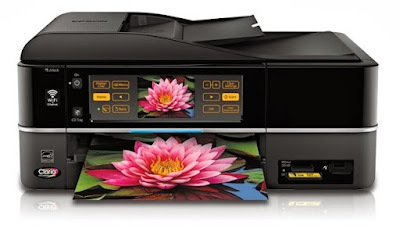 Select another option, you can damage the printer, at the end of the restoration is possible that the printer changes its name - for example put before the name of the printer (copy 1) - and this is considered a name change and will need to set this printer "which now appears as new" as the default printer. Remember if you have a problem or need additional help, write a comment on this publication will gladly be answered in the shortest possible time.